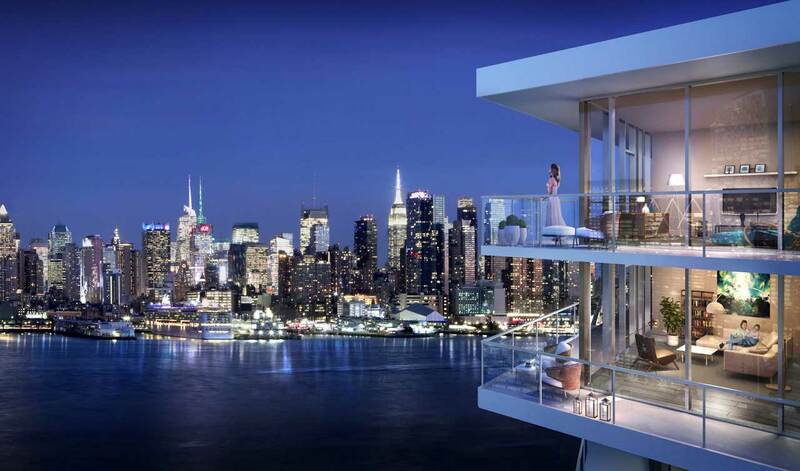 PALISADES PARK, N.J. – The Penthouses at Trio have quickly caught the eye of sophisticated homebuyers looking for upscale high-rise living in a sought-after Bergen County location minutes from Manhattan. MWHF Palisades Park, LLC, sponsor of the luxury Palisades Park condominium buildings, has recently completed the sale of a 10th-floor Penthouse residence at Trio. The spacious home features 1751 square-feet of living space with two-bedrooms and a den and three-bathrooms. According to The Marketing Directors, the building’s marketing and exclusive sales agent, the home sold for $710,000. The growing popularity of the Penthouses at Trio can largely be attributed to a comprehensive presentation which vividly illustrates the luxury, comfort and appeal of living in a premium home in a fully amenitized building. A new sales center has debuted in a two-bedroom two-bathroom Penthouse perched atop the two-mirroring nine-story buildings. The state-of-the-art facility is joined on the highest residential floor by a fully-decorated Penthouse model home, creating a detailed and informative sales and model center at Trio. The Penthouses at Trio provide affordable luxury with prices starting from just $595,000. The magnificent residences are also being offered with a special limited time incentive that provides up to $50,000 off the purchase price of two- and three-bedroom homes. Four different Penthouse floorplans are now available at Trio with upscale elements such as separate kitchen and dining areas, two-and-a-half to three bathrooms, spacious master bedroom suites with walk-in closets, designer kitchens and more. In addition to the new Penthouse model a newly decorated two-bedroom model home has debuted at Trio. The residence spotlights the popular 02 condominium line which boasts two full baths, master bedroom suite with walk-in closet, state-of-the-art kitchen with breakfast bar and expansive living and dining areas. In all, Trio’s condominium inventory consists of one-, two- and three-bedroom residences, priced from just $330,000 and available with immediate occupancy. 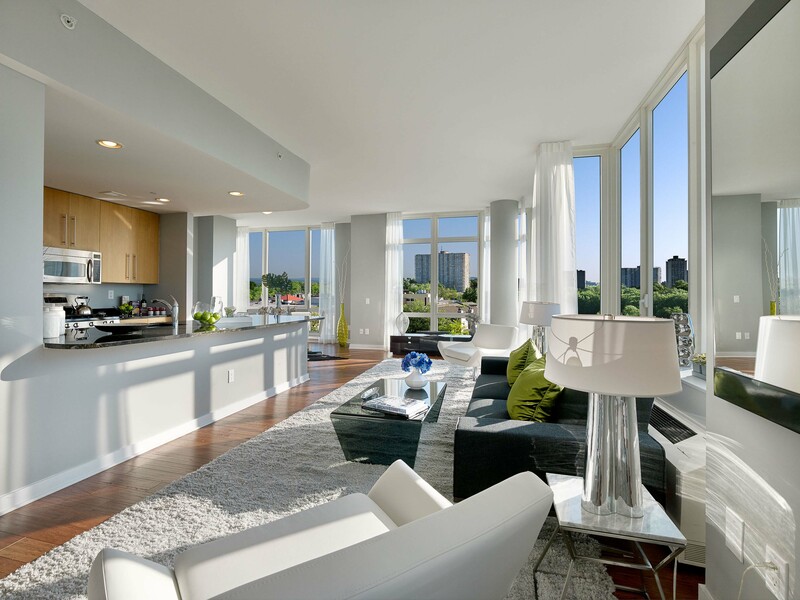 The residences boast floor-to-ceiling windows, hardwood floors, and modern recessed lighting. Gourmet kitchens include granite countertops, stainless steel GE appliances, custom maple cabinets, and Kohler fixtures. Designer bathrooms feature Crema Marfil marble floors, granite countertops, custom maple vanities, and Kohler fixtures. All homes also come with individual washers and dryers. Homes are available with covered parking.